Sometimes a headache is not just a headache. When they become more serious or more severe, headaches can be classified as either a tension headache or a migraine. While many people think they are prone to migraines they may actually have tension headaches instead. There are a lot of similarities between the two of these but a lot of differences as well. 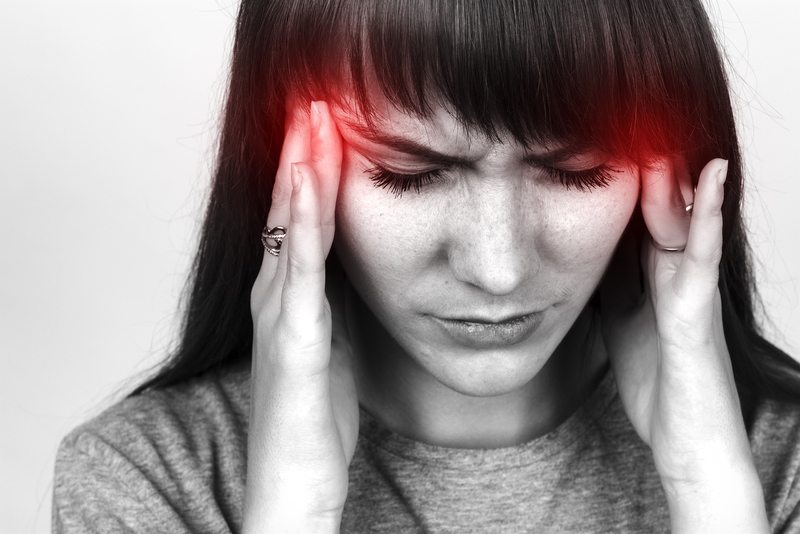 In either case, chiropractic care can help to stop the pain of a headache and may also help to lessen the number of headaches that are suffered through each week or month. If you are having a lot of headaches you may need to seek a chiropractor Long Beach MS. The most common type of severe headache is the tension headache. Caused by stress which makes the muscles of the shoulder and neck tense up, these can feel like a tight belt or a clamp around the head or may focus on a single area, typically in the front near the forehead or on the side of the head. No matter where the location of the pain, it is described as mostly pressure that is constant rather than intermittent. It may be eased by some analgesics but they rarely go away with just medicine. Until the source of the pain is removed it will continue. That means until the tension is relieved the headache will probably go on. Like tension headaches, migraines can be located all over or centralized in one place. The key difference between the two is the sensation of the pain. With a migraine the pain is typically described as throbbing rather than constant. The pain may also feel sharper. Migraines may also cause a number of other symptoms including nausea, sensitivity to light, sound or smells. People who have migraines may have what is called an aura just before the pain begins. This can be a flash of light or color or a certain smell. Auras do not always happen before every migraine even for people that have them. One of the benefits of chiropractic care is the manipulation of the spine. If the chiropractor focuses on the area of the neck near the back of the head the tension will be relieved and the risk of tension headaches should be minimized. Continued chiropractic care will help you to keep your tension levels down and hopefully will keep you mostly headache free. The spinal manipulation addresses not just recurring headaches but other issues in your body. Seeing a chiropractor Long Beach MS will help you get relief now and help you to lessen the headaches you have in the future. Before visiting your local chiropractor in Long Beach MS, you may be wondering what chiropractic care can do for you and how it benefits your body. 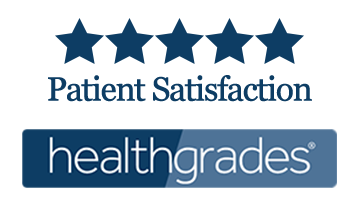 While many people still don’t see the overall need for this type of medical care, it can be incredibly advantageous and beneficial to individuals who are suffering from aches, pains and other ailments. Whether you have a desk job where you are sitting for hours a day or you have an incredibly demanding occupation, pain affects millions of people nationwide. Living with pain can be difficult and frustrating, but chiropractic care can help to ease the pressure and pain off of joints so that you are able to live a relatively pain-free life. With pain pills and medication, you are taking something that might not target the pain directly at its source. The relief you get from medication may be short-lived and may only dull the pain and pressure that you’re experiencing. When visiting your local professional, they are able to deal with the pain at the source and provide honed-in treatment specific to where you’re suffering. Chiropractic care is medication-free, which is crucial in a time when pain medications are overly addictive and problematic for many individuals. In fact, most people are able to get off of their addictive pain medications after visiting their local chiropractor. Visiting your chiropractor is like visiting an old friend. They know your body and the pains that you’ve experienced in the past. Because of this, they are able to tailor a personalized treatment to fit your needs well and to help you with just about any condition that you’re struggling with right now. Chiropractic care might seem a bit strange to those who have never had it done, but it is an incredibly relaxing and rejuvenating experience. You will come away from the office feeling highly relieved of any pain, soreness or tenderness that you felt and ready to take on the world. This is why many people go to their chiropractor despite what type of occupation or lifestyle they might have. There are very few side effects from having routine chiropractic care done, which is better than most other pain treatments that seem to be available. Plus, most people who go for this type of treatment find it to be incredibly effective at getting them back on their feet and feeling their best. To begin the process of chiropractic care, you will want to schedule an appointment with your local chiropractor in Long Beach MS. They can schedule an appointment for you and have you come in for a consultation. For your first appointment, you will discuss your pains, problems and ailments with the doctor who will then create a specialized and personalized treatment plan just for you. Many insurance companies will also now cover the costs of chiropractic care, so it’s worth looking into if you need an alternative method to pain relief. 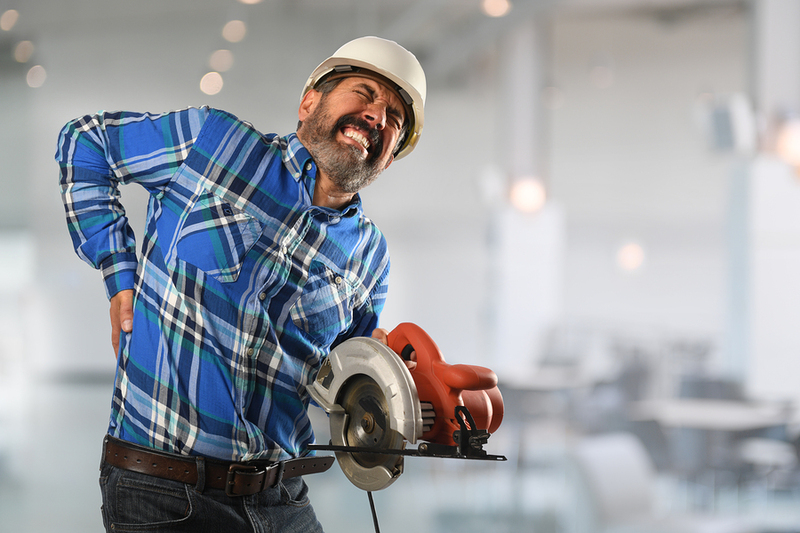 Physical injuries, while common, should be taken very seriously. Even the smallest injury, if not properly treated, can become a serious health issue. Taking this into consideration, once you’ve experienced any type of injury, the first thing you should do is remember RICE. RICE stands for rest, ice, compression, and elevate. If an injury occurs during an exercise routine or a sporting event, do not hesitate to stop what you’re doing to take a rest. A sports injury should not be dismissed easily, so when one occurs, you should seek assistance from a professional pain specialist. You can find one by searching for “acute pain long beach ms” in your internet search engine. If you’re on your own during an exercise routine, immediately stop your exercise routine to rest your injured body part. If the pain subsides, finish your exercise routine at a slower, gentler pace. If you receive an injury doing any other activity, take a break immediately to rest the injured body part. Regardless of how you acquired your injury, begin step 2 as soon as possible. Ice can work wonders on sore or injured muscles if applied properly. In order for an ice compress to provide maximum healing to your injured muscle or joint, it must be applied as soon as possible. Ice can provide relief to an injured muscle or joint in two ways. First, ice will reduce blood flow to the injured area which will reduce swelling and inflammation. Secondly, the cold temperature of the ice will numb the nerve endings within the injured area to provide you with temporary pain relief. Never put an ice pack on your bare skin. Always wrap it in a towel or cloth first. Apply the covered ice pack three times a day for 10-20 minutes per session. Do this every day for 2-3 days until the swelling subsides. Once the swelling is reduced, apply a heat pack to treat the pain. If a cold compress and a heat pack aren’t helping to remedy your injury, consider seeking help from professional pain relief specialists by searching for “pain relief long beach ms” in your internet search engine. In between using cold compresses and heat packs, be sure to keep your injured area wrapped in a compression bandage. Compression bandages help to further reduce the swelling and inflammation to expedite healing and provide relief from the pain. Don’t wrap your injured area too tightly. Increased pain, tingling, and numbness are signs that the bandage is too tight and requires loosening. If the pain lasts longer than three days, consult a doctor or local pain specialist. You can find one by searching for “pain relief long beach ms” in your search engine. Keeping the injured body part elevated is essential to the healing process. Whenever you’re resting or using a cold compress, elevate the injured area up to the level of your heart. This will help to further reduce swelling. If following these four steps doesn’t help to ease the pain of your injury or the swelling, you should see your physician or a pain specialist. You can find one by searching “acute pain long beach ms” in your search engine.